This small growing Brazilian pleurothallis is one of our favourites. 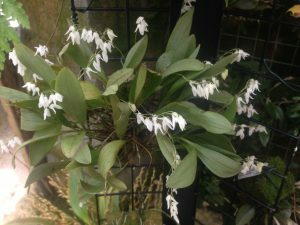 It has a strong fragrance of bananas and the small flowers are long lasting. We find that it prefers growing mounted where it can receive heavy watering but have perfect drainage. 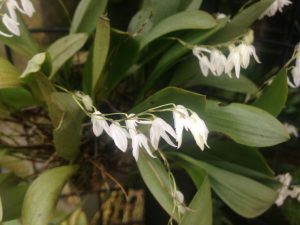 This is part of a large group of Pleurothallis recognised as a subgenus or even the separate genus, Specklinia. These species produce lots of small flowers on short spikes and most make wonderful small growing species in a collection.